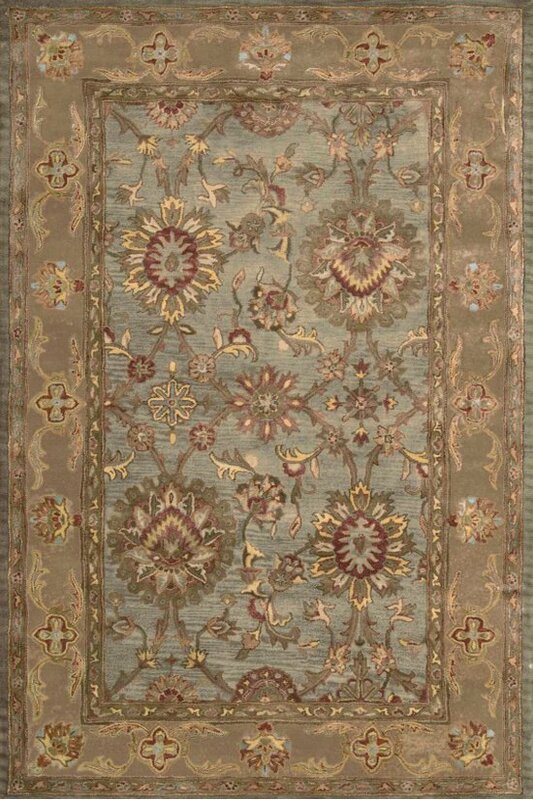 5'6" X 8'6"8'3" X 11'6"9'6" X 13'6"
This beautiful, wonderfully soft, New Zealand wool carpet evokes the timeless beauty of antique Persian designs. Sage, coral and taupe medallions and border play against a slightly feathered field that runs from dusty robin's egg blue to a soft, muted slate grey. Premier hand tufted construction and superior quality make this a treasure that will be enjoyed and admired for many years to come. Available in a variety of sizes. Each piece ships directly from the manufacturer. Please allow 1 to 2 weeks for delivery. 5'6" X 8'6" has an additional delivery freight charge of $10.00. 8'3" X 11'6" has an additional delivery freight charge of $100.00. 9'6" X 13'6" has an additional delivery freight charge of $100.00.